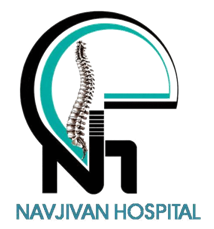 Welcome to Our Website Navjivan Hospital. Dr. Govind Lahoti's Navjivan Hospital. Orthopedic Hospital TUV SUD Certified. We Care Highly Equipped Facilities. We at Navjivan are committed to offer Safe, Compassionate and most effective clinical care to optimize patient outcome. Our goal is to provide an excellent care in every aspect of your hospital visit. Our staff is committed to work together as a team to coordinate your care, manage your pain, and provide as much information as you want about your care. We strive to keep an infection free environment for your speedy recovery. We realize that being in the hospital may be an uneasy experience, therefore through our values of respect, excellence and attitude of service we will keep no stone unturned to make your visit as pleasant comfortable and successful as possible.